The International Course in Primatology and Wildlife Research arose with the establishment of the Center for International Collaboration and Advanced Studies in Primatology (CICASP) on April 1st 2009. CICASP was founded by and reamins based at PRI, helping it promote international cllaboration in reasearch and education with a focus on the promate mind, body, ecology, conservation, and genome in order to understand the evolutionary origins of human nature. 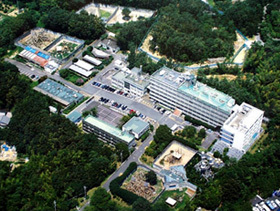 CICASP administers the International Course in Primatology and Wildlife Research, thereby providing a door for international students to enter Kyoto University. CICASP welcomed its first students in April 2011, and has since had numerous international students enrolled in its graduate programs, from countries diverse as the USA, Puerto Rico, Brazil, Chile, Bangladesh, India, South Korea, China, England, France, Hungary, Vietnam and Portugal. CICASP faculty assist international students in various ways, such as supervising research projects, providing lectures in comparative animal behavior and teaching the fundamentals of science communication, while CICASP administrators provide all aid necessary to cope with life and studies in a foreign country. 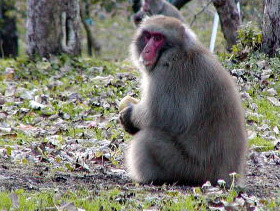 Japan is a special country in terms of the study of nonhuman primates. Unlike all other highly industrialized countries or G8 member states, it has an indigenous species of primate, called the Japanese monkey or Snow monkey. The birth of Primatology in Japan dates back to 1948 when Kinji Imanishi (1902–1992) first visited Koshima island with two of his students in order to carry out scientific observations of wild Japanese monkeys. Imanishi endeavored to look for the evolutionary basis of human society by the careful study of monkey societies in their natural habitat. His work was driven in part by the desire of Japanese scientists and laypeople alike to learn the origins of human nature through the study of primates. The Primate Research Institute (PRI) was established in 1967 and has for the past four decades been promoting basic research synthesizing various approaches to understanding the nature of primates — including humans. The PRI at present has about 40 faculty members (full professors, associate professors, and assistant professors) and about 40 graduate students who belong to Kyoto University's Graduate School of Science, majoring in Biological Sciences. There are about 20 postdocs, 6 veterinarians, 7 administration staff, 10 technicians, and 72 part-time employees. In addition, the institute is home to 855 non-human primates of 16 species. The PRI has long been a national center for research, and now aims to become an international center in the near future. At present, about 30% of post-docs and graduate students come from outside of Japan,with diverse origins including the USA, Puerto Rico, Brazil, Chile, South Korea, England, France, and Portugal.